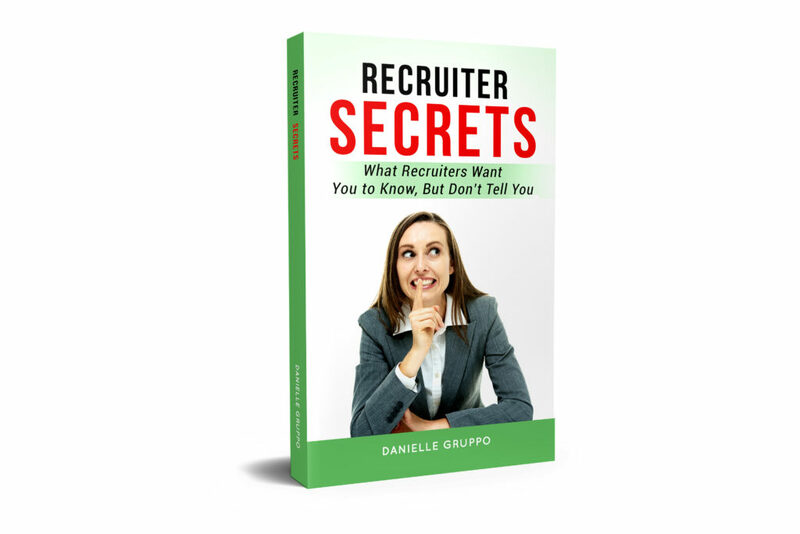 In this practical and lighthearted guide, Danielle Gruppo reveals what only insiders know about navigating the job search and interviewing process to become a top candidate for hire. Recruiter Secrets has been designed to answer your job search questions and concerns in a concise and easy to read manner. This book is for people who suffer from job search, interview anxiety, and are new to or overwhelmed by the process. Anyone privileged in choosing their career path is cursed with a common burden…job search and interviewing. Whether you’re a student, recent graduate, or even someone making a mid-career move, knowing how to navigate the rough waters could make or break your career. Knowing that you are fully qualified for the job, have you ever envisioned your application stuck in a black hole? Following an application submission or interview, have you ever wondered if you presented yourself correctly or could have done better? Both of these unknowns cause anxiety, which undoubtedly add to the probability of a negative outcome in your job search process. Drawing examples from her time as chief executive officer of the social recruiting platform InternAlliance, talent management, diversity and inclusion strategist, AND over 25 years of coaching professionals through their career progression, Gruppo shows the reader how to put their best foot forward in getting the job they deserve. The insights you’re about to read have been proven to create positive results. All you need to do to stay in control of your career search is to keep reading. Each chapter will give you new tips as you endeavor to get the job you deserve. Learn recruiter secrets to get the job you want! Danielle Gruppo is chief executive officer and founder of InternAlliance- a consulting firm, and social recruiting platform bridging the gap between education and employment for student interns and campus brand ambassadors, while strengthening the workforce pipeline for top employers. Ms. Gruppo is an accomplished human resources executive with over 25 years of experience developing and executing talent management and human capital strategies for Fortune 250 and privately held companies in energy, healthcare, services, and manufacturing. Gruppo is adept at leading comprehensive organizational design, long-term recruiting and retention strategies, workforce development, global diversity/inclusion strategy and creating human resources frameworks in support of companies’ overall goals and values. Ms. Gruppo is a sought-after speaker who provides insights and practical tools for increasing job search success. Connect with Danielle Gruppo via LinkedIn and invite her to speak at your campus, work event, or conference by visiting InternAlliance. control of their job search and career path. Sign up now for Recruiter Secrets promotions, book signings, and public speaking events.